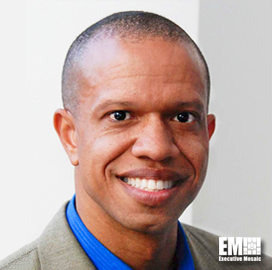 Cedric Sims, formerly president and CEO of Evermay Consulting Group, has joined Booz Allen Hamilton (NYSE: BAH) as a senior vice president within the company’s civilian services group. Sims will come up with strategies to promote integration across Booz Allen’s homeland security business in his new position, the McLean, Va.-based consulting firm said Thursday. He will also help the company further support the Department of Homeland Security’s Continuous Diagnostics Monitoring program and other information technology modernization initiatives. “Cedric’s commitment to living the mission and deep experience in homeland security will bolster the integration that we help clients realize at DHS and across government—work that is critical in ensuring the safety, security, and well-being of our citizens,” said Kristine Martin Anderson, executive VP and head of Booz Allen’s civilian services group. Sims held leadership roles at DHS, where he formed the office of program accountability and risk management. Prior to DHS, he previously worked at the U.S. Secret Service and served in several research and management positions at Texas A&M University.